If you haven't branched out to Four20moon Tie Dye, Beadmask and Viridian Muse yet, you are missing out on some excellent eye candy. My sponsors are definitely the sweetest sellers around. 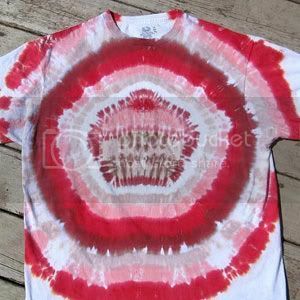 Four20moon Tie Dye Shop's cute cupcake shirt would make a one of a kind birthday gift for a friend with a sweet tooth. Cupcake design has been hand tied then dyed on the front of an Extra Large (46-48 inches around) lightweight Fruit of the Loom tag-less undershirt. Pink cupcake is topped with a fire red cherry and surrounded by stripes of baby pink, hot pink and brown shades. The back of the shirt has been left white. Beadmask's bead embroidered cabochon earrings are more decadent than the raspberry truffle dessert the design is named after. The vintage faceted glass cabochons are a deep red with an aurora borealis finish that flashes amber and blue when light dances across it. The stones are surrounded by glass seed beads in shades of bronze and red. 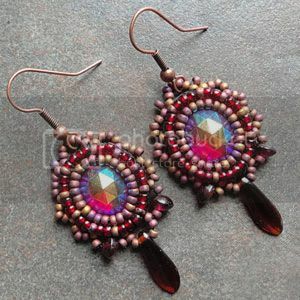 At the base of each earring are genuine garnet beads and a Czech glass dagger. Viridian Muse's ribbon rosette pin is cooler than a pink sorbet on a hot summer day. 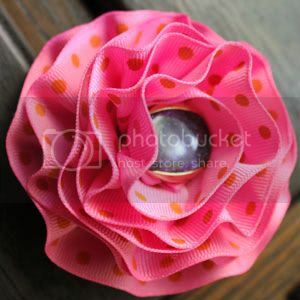 The pin is made from a thick grosgrain ribbon in a bubble gum pink color with orange polka dots. 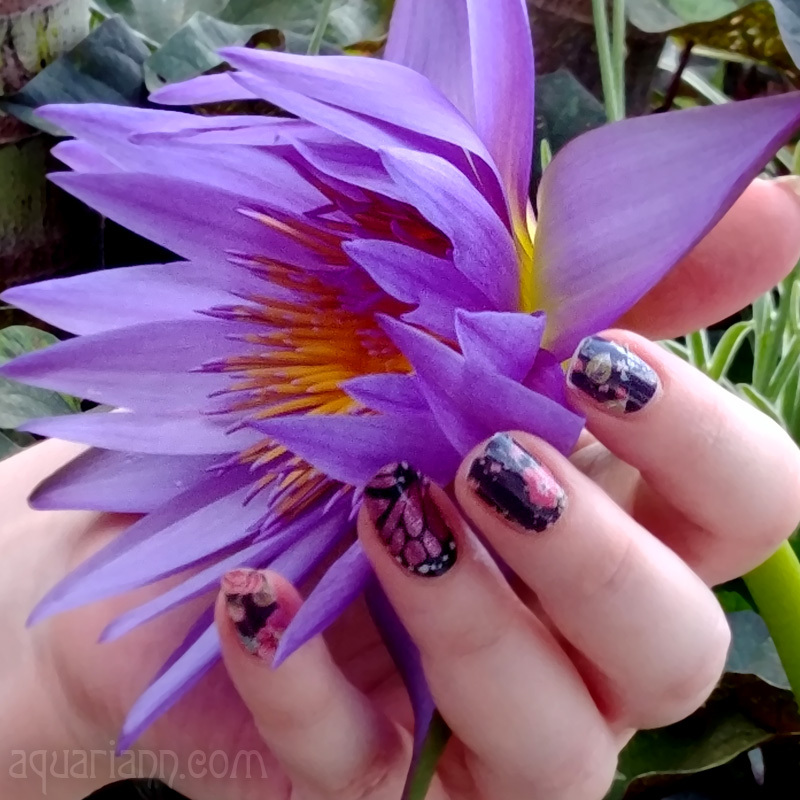 Highlighting the center of the flower is a deep purple stardust style button with a golden edge. The purple appears nearly black, but gleams its true color in directional light. The pin back is hand stitched, not glued, for maximum wear and durability. The cupcake is very creative! And those earrings are gorgeous! The earrings are beautiful! Lovely beadwork and colors. I love the earrings & the shirt. All of the items are great! Adore the colors and all handmade!